As Celtic will face Ajax in Amsterdam on 17 September 2015 in the group fase of the European League fans travelling to Amsterdam should know their rights in the Netherlands. Do I have to carry an ID Card on me/with me? Is there an obligation to carry a form of ID? If I don’t what are the consequences? It’s not compulsory to carry an ID, but under certain circumstances it is compulsory to show an ID to an officer when asked to do so. A professional football game is such a circumstance. Is the usage or possession of pyrotechnics legal inside and/or outside the stadia? Pyrotechnics are forbidden both inside and outside stadiums. What are the regulations about buying/selling tickets on the “black market”? Selling tickets on the black market is not illegal according to national law, but it’s an offense under local law. A person who’s arrested for selling tickets on the black market can be held by the police for a maximum of 6 hours. The hours between 0:00 and 9:00 A.M. are not taken into account for these 6 hours. Buying tickets on the black market is legal. Ask to speak to a lawyer before being interviewed by the police. 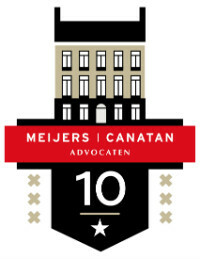 Meijers Canatan Advocaten will be available before, during and after the game to visit you as soon as possible. Don’t talk to the police before you have spoken to a lawyer. You can ask for a lawyer of your choice. Just tell the police you want to be visited by Christian Visser or any other lawyer of Meijers Canatan Advocaten. Tel +31206383606 or Christian Visser on his mobile +31646073004 (24/7). If you’re detained Christian Visser or any other lawyer of Meijers Canatan Advocaten will visit you free of charge. Which personal details or information am I obliged to give? None. A suspect has an absolute right to remain silent. Am I allowed to make a call? A suspect is always allowed to call his lawyer. Also he may inform one person about his arrest. In certain cases the right to inform other persons of your detention may be temporary limited. What is the maximum time someone can be held by the Police? A suspect can be held for 6 hours during which time the police can interview him. The hours between 0:00 and 9:00 A.M. are not taken into account for these 6 hours. After that a suspect can be held in police custody for three days. After these three days a suspect can be brought before an investigation judge who will decide if suspect has to stay detained for another 14 days. If so a suspect will taken to a detention facility. During the hearing at the investigation judge the suspect will be assisted by a lawyer. In 2013 Ajax and Celtic played each other in Amsterdam . Many Celtic fans gathered on Dam Square. It was claimed that some incidents occurred, which were the reason for the Dutch undercover police officers to get involved but the way in which they did this was widely criticised. Celtic fans were confronted with police violence. Mr Visser raised doubts on this police intervention and argued that the police used excessive violence. As a result of police action 9 Celtic fans received a court summons. 3 Celtic fans have already been finally acquitted, 6 court cases are still pending, 1 of the 6 Celtic fans is still waiting for his trial in first instance. All 9 fans were defended by Christian Visser. #Damjustice is an ongoing campaign from Scotland, Ireland as well as from the Netherlands to get justice for the boys that were arrested. Anything else I should know/ consider during my visit to The Netherlands? The Netherlands might come across as liberal country because of its soft drugs and prostitution policy, but this soft policy does not always apply, as the Dutch police are not very tolerant at all of football supporters. If you have any questions please feel free to call Meijers Canatan Advocaten on +31206383606 or Christian Visser on his mobile +31646073004 (24/7). Mr. Visser is partner at Meijers Canatan Advocaten and and expert in football related criminal cases.